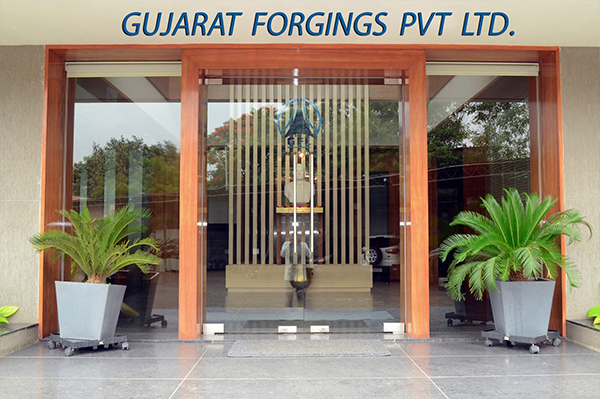 GUJARAT FORGINGS LIMITED had started its manufacturing activities way back in 1963, under the name of M/s. PATEL MANUFACTURERS with an initial capacity of 80 engines per Annum. Now as a Limited company, it has a production capacity of 1,35,000 High Speed Diesel Engines per Annum. GFL manufactures High Speed Diesel Engine, Water Pump set, Diesel Generating Set, Mud (Self Priming) Pump set, In-Board Marine Engine, all in various capacities & sizes which differentiate from Application to Application. These Engines are widely used for Agriculture, Irrigation and Industrial purposes. GFL is an ISO 9001 : 2000 company certified by the TUV-Rheinland. Since inception quality and customer satisfaction has been our prime motto. It has been the policy of GFL from its Establishment, to provide its customers, satisfactory products & Services. GFL is having the IS:11170 and IS:10001 (ISI Mark for Product Quality) for its Engines and is also approved from DGS&D & NSIC. 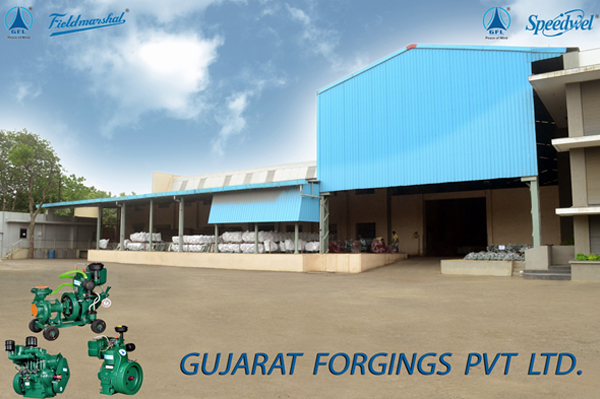 GFL is an approved Vendor in the Indian Western Railway and CSPO for Gujarat State. GFL till date has procured prestigious Tender Contract Orders of 53925 nos. of Water Pump sets from the Govt. of Assam competing with National & international Bidders. GFL has also successfully participated in Tender and Awarded order for supply of 1000 Nos. Monoblock Pump sets received from Government of West Bengal, Office of the Additional Director of Agriculture, North Bengal Region, Jalpaiguri. GFL has its own R&D Dept. engaged into the development of new series of diesel engine models. GFL have their products been Exported to Benin, Egypt, Eritrea, Ethiopia, Ivory Coast, Kenya, Malawi, Mali, Morocco, Mozambique, Nepal, Nigeria, Saudi Arabia, Sri Lanka, Sudan, Syria and many more. GFL is also identified and approved by M/s. PEC Ltd., (formerly, Project & Equipment Corporation of India Ltd., New Delhi.) which is a Govt. of India Undertaking who procures our products and supplies to various Governmental Organizations in different Countries on Behalf of The Ministry of External Affair of India, and have so far supplied 360 units. GFL has a very Strong Marketing Network of 2500 Dealers Spread all over India who work under 21 Distributors.